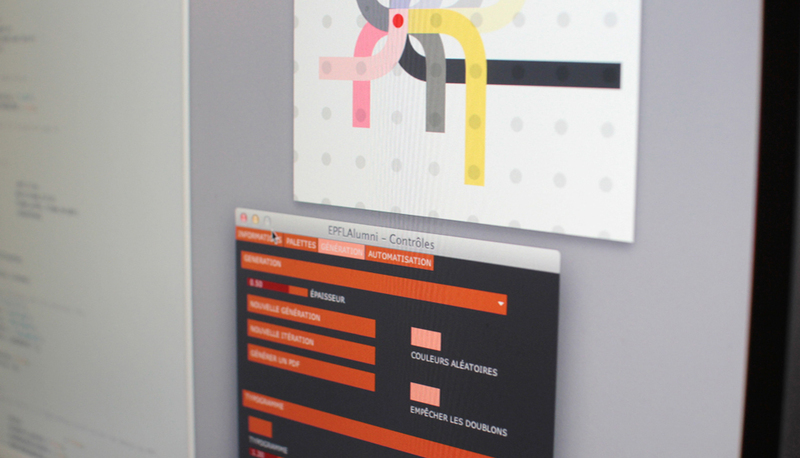 Enigma the communication agency used the “generative identity” approach to create a new branding which would be recognizable by all and personalized for each member of the EPFL-Alumni community. 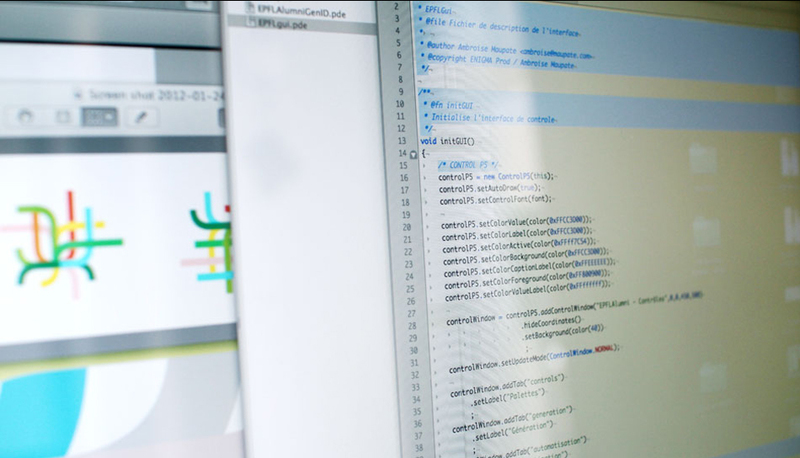 The EPFL (Ecole Poytechnique Fédérale de Lausanne) Alumni Association wanted a new strategic plan to ensure its growth and long-term existence. This unique organization consists of former EPFL students, which form an exclusive community. What they have in common is that regardless of where they are from, they have studied at EPFL. 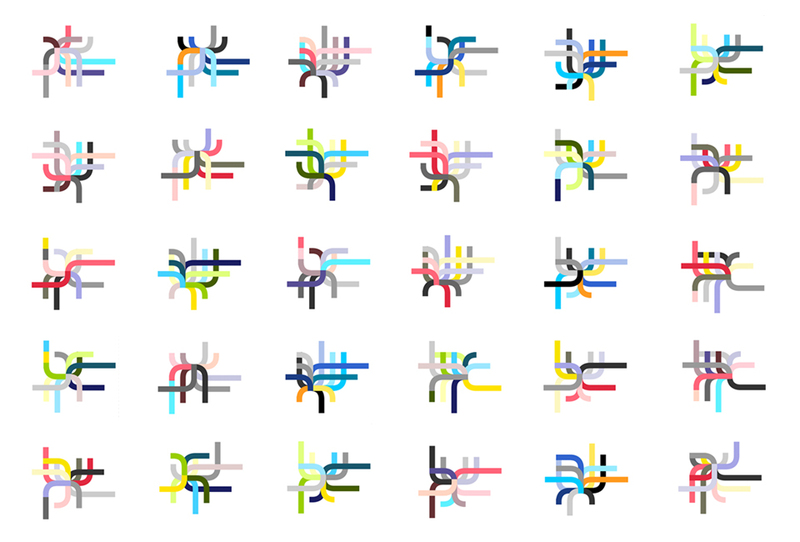 We wanted to create an identity that would reflect this unique character; we followed a process called generative design. This hybrid approach is based on programming and algorithms; it allows the designer create a system of rules that generate numerous results. 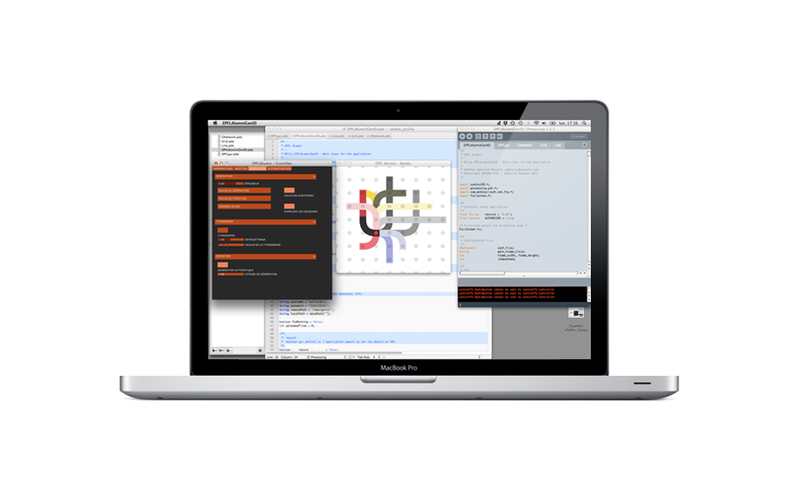 Dots were arranged into squares and defined curves that represented paths. This was a metaphor for the EPFL students that move around campus; in turn, these various curves create a unique shape. 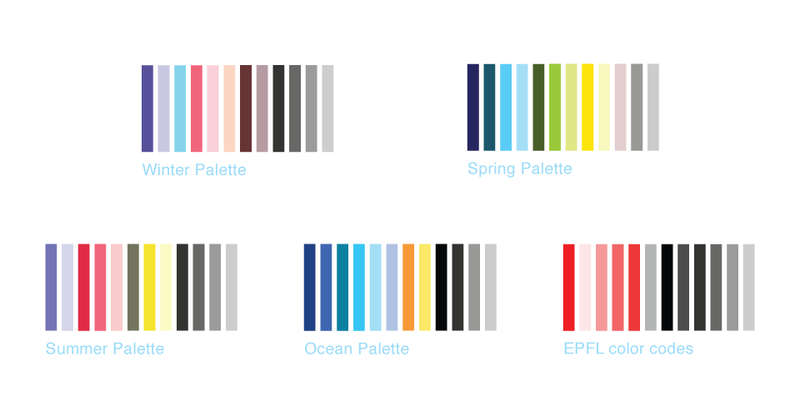 This design can be expressed in an infinite variety of shapes and colors. 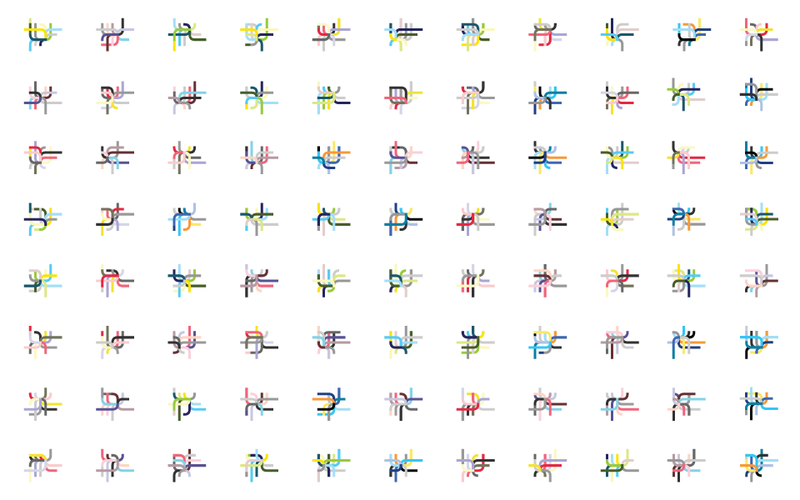 Thanks to a mathematical software and to random parameters, 100,000 different logos were generated in one day. 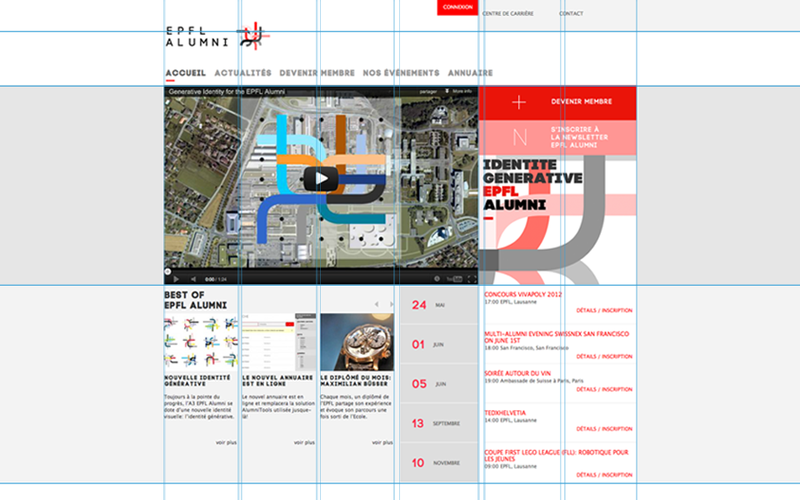 On the basis of this new corporate, we developed a website to present the EPFL Alumni Association, highlighting the advantages of this community. A true platform for sharing, the new alumni site aimed to motivate alumni to become members and thus ensure the sustainability of the Association. The challenges of this website were mainly technical. 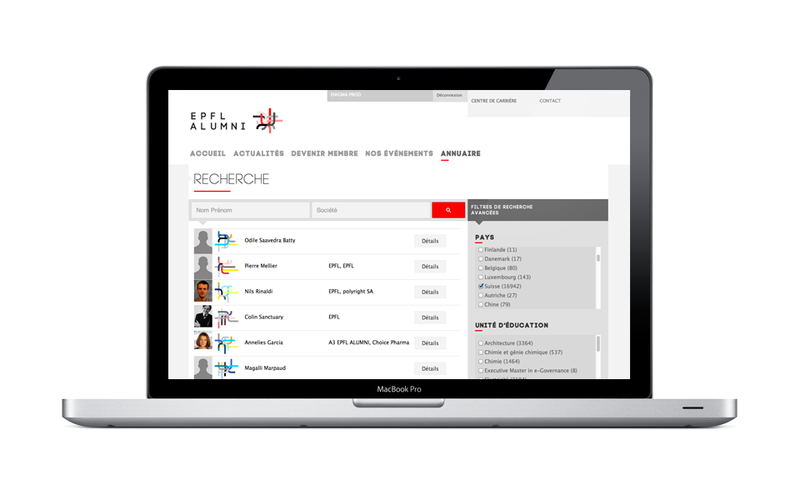 Indeed, the greatest asset of the EPFL Alumni Association is the directory, which contains nearly 26’000 people: only members have unlimited access to this impressive database. 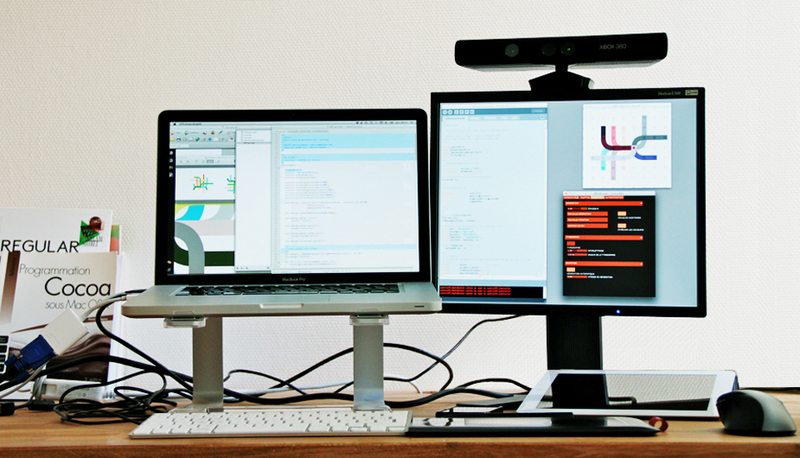 We set up a permanent synchronization between the database (Intraworlds portail) and the main site. It was thus necessary to create a private zone with a management of the access rights relative to the type of member and a protection against the edition of third profiles. The search in the directory is done through a Query/Ajax search with filter: the profile is then displayed with a photo of the alumni and its own generative identity. The site also allows you to pay your subscription online: the change of fees is then automatic as soon as the payment is made. 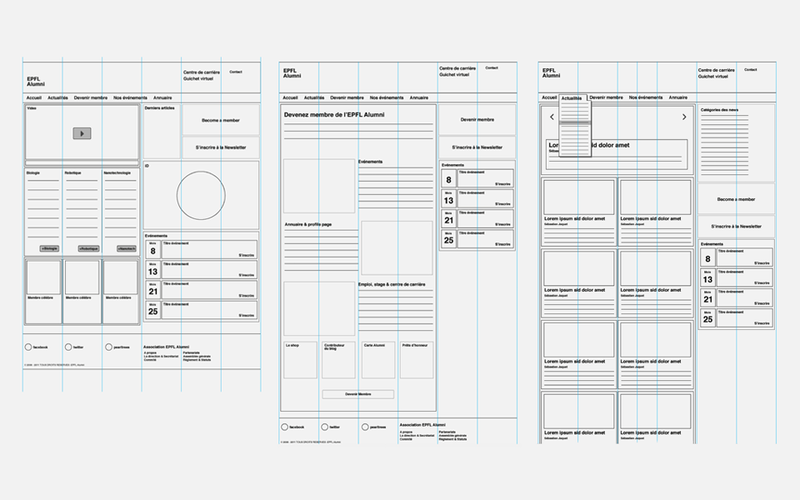 When a former EPFL student wishes to become a member, he can do so via a membership form, which automatically synchronizes with the Intraworlds CRM. Finally, a system of permanent updating of the directory with a newsletter system was set up: according to the classification criteria, each contact is imported into a precise list which allows a targeted mailing from the Association to its members. 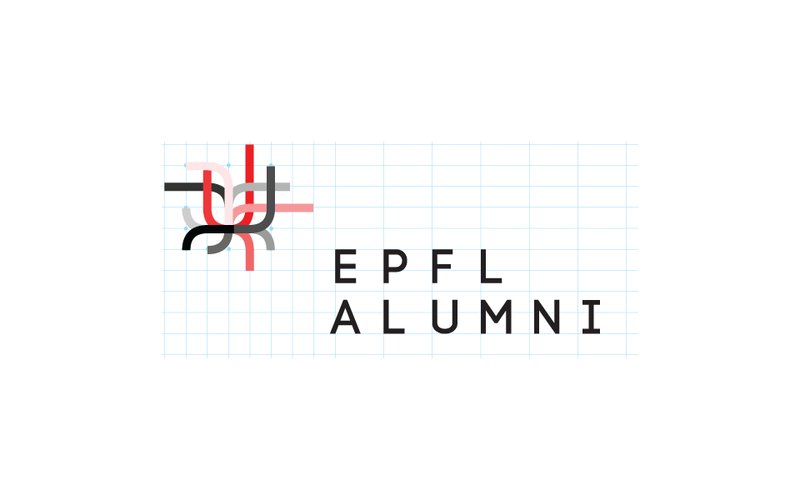 The approach called “generative identity” helped customize and personalize the new EPFL-Alumni logo for each member and for all media (personal page in the directory, stationary, member ID). Each graduate received a personal logo that was both unique and immediately recognizable as part of the EPFL Alumni community. Learn more about the services we used for this project. Don't miss Enigma’s latest updates. 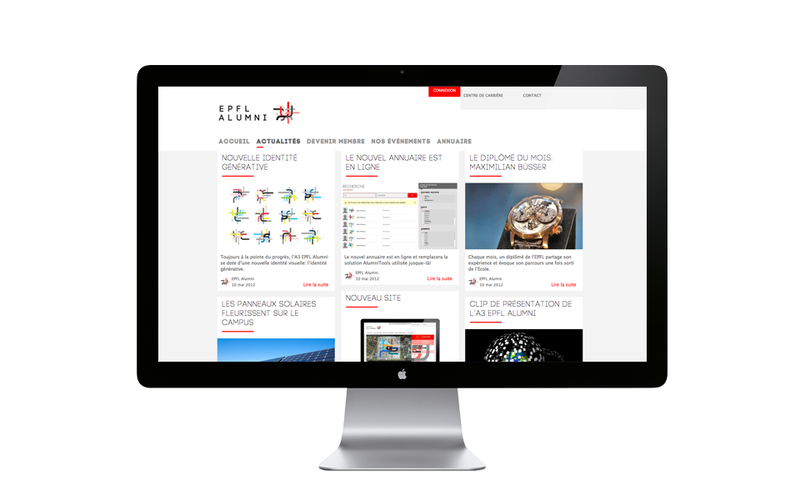 News, projects, lab research & inventions.